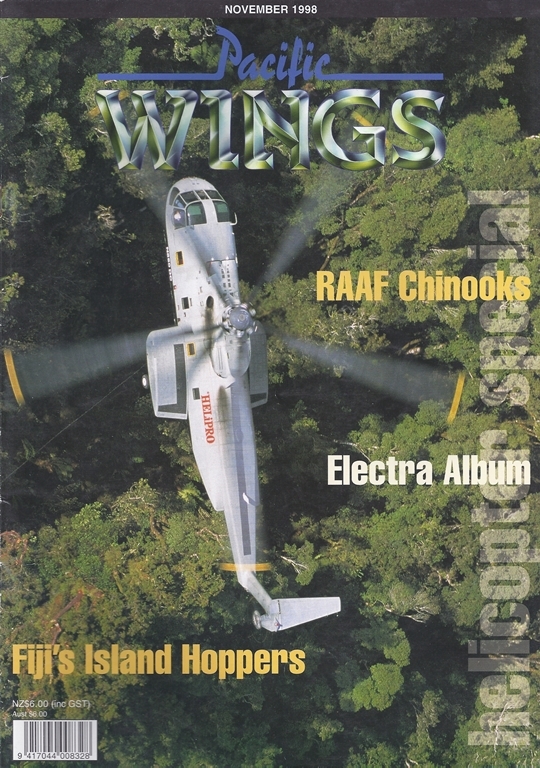 A classic collection of Electra photographs courtesy of aviation historians and co-authors of Electra Flying. Peter Cooper reports on this year's RIAT. Neville Dawson profiles the Australian Chinooks. A look at Fiji's one and only helicopter operator. By Neville Dawson. New Zealand operator HeliPro's largest acquisition. By Callum Macpherson.